No-I can wait 2-3 weeks for my order. We have received out Class 7 license which allows us to do trigger jobs on your used frame. Lessen the trigger pull weight, increase accuracy, decrease the possibility of misfire due to weak factory hammer spring of your TC Encore or Prohunter frame by authorizing HausofArms to install new internal parts to make that happen. 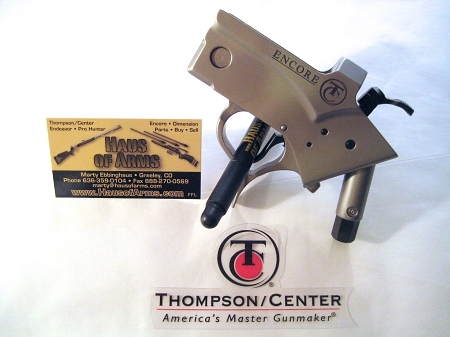 Our new "Enhanced" trigger job package is a step up from the original basic package we offered which was a simple swap out of internal springs. We are now polishing and honing all internal contact points ensuring a crisp, light and repeatable trigger pull that is so good you'll want to slap somebody. Ship your unaltered frame directly to HausofArms via UPS or FEDEX with adult signature required and insured (if you desire). We are an FFL Class 1 and will log it into our system just as if you were sending it to the factory for repairs. We will install a Bellm #2 Spring kit, which includes trigger spring and a 44lb hammer spring. Typically a factory trigger pull weighs between 4 1/2 and 6 lbs. The Bellm #2 kit will reduce the pull weight to a ballpark weight of 2.5 lbs thanks to the extensive honing and polishing that is now accompanying the work. We will verify pull weight and also test the "push off" hammer safety feature to insure it's function. We will ship the frame directly back to you via UPS with adult signature required. Shipping is included in the purchase price. Before you ask, I have received confirmation fro the BATFE Technical Firearms Division that shipping directly back to the customer is perfectly with its rules because the customer already has had possession of the frame. 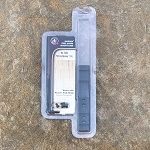 Be sure to check out the other services offered such as oversized hinge pins, hammer extensions. Receive these additional discounted services while we are in possession of your frame only. Obviously prices will be higher for the services if not performed in conjunction with the trigger job. Disclaimer. By purchasing this service, customer is acknowledging that parts will be replaced inside his frame, weight tested and safety function verified. 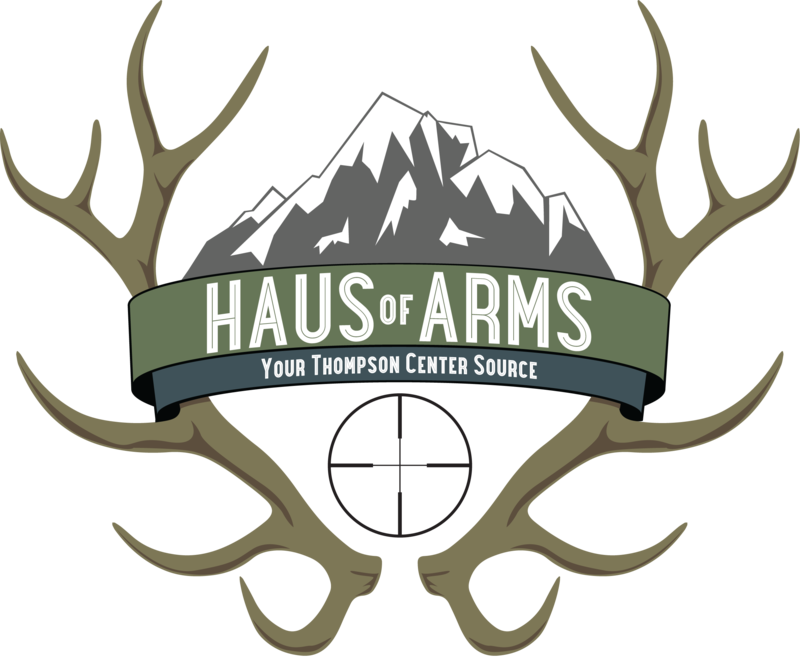 And furthermore agrees to "hold harmless" HausofArms, TC4ME, it's owner and its affiliates from liability once the "customer" has retaken possession of the frame. 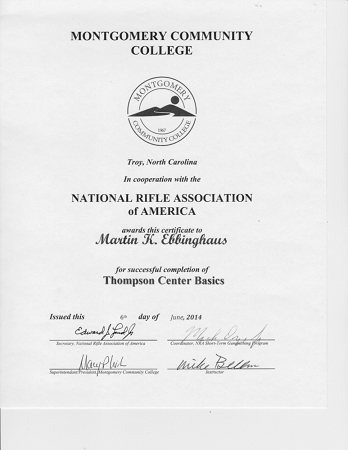 My training certificate signed by Mike Bellm is included with the pictures.